For those who love a gastronomic experience full of surprises, the gorgeous El Clodenis restaurant in San Rafael is sure to mesmerise. The house dates from 1825 and retains its authentic Ibicencan charm with original features, cool and shady colonial patios and a garden bursting with colour, framed by ancient olive trees. Traditional merges ingeniously with avant-garde here, in an innovative mix of high-end Mediterranean- fusion gastro art based around seasonal produce, a sumptuous ceviche bar, carefully selected organic and biodynamic wines, unique mezcals, tailor-made creative cocktails and bohemian crystal shishas. These are beautifully presented to a backdrop of incredible projected electronic art. 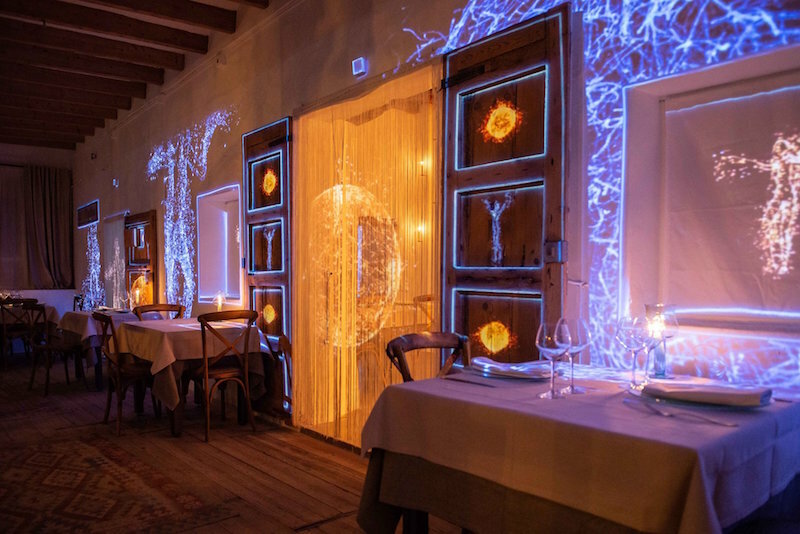 As you dine, you are surrounded by a fantastical world of experimental film and high-tech animated video mapping. Inside, paintings on the wall morph and the walls and floor come alive with old movie characters and scenes or decorative mosaics and mandalas. In the garden, where trees and the pool are transformed into beautiful dynamic canvases; a breath-taking backdrop for musicians who regularly entertain during your meal. Afterwards you can move inside to groove in the mini club to super talented local DJs. The venue is wheelchair friendly and the attentive staff provide a warm welcome and high calibre service. This means reservation is essential as this popular venue gets booked out during the summer. Experience the Spirit of Ibiza Before the Sun Sets. 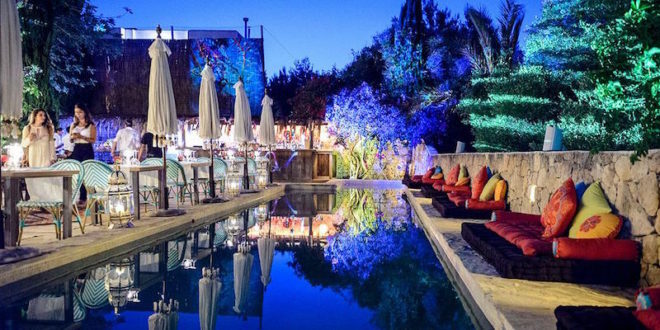 With all the excitement of choosing from the plethora of parties going on in Ibiza’s famous super-clubs, it’s easy to overlook some of the fabulous alternatives that also offer visitors the chance to experience the spirit of the island before the sun goes down. Las Dalias, located near San Carlos, is most famous for its iconic hippy market which has been running since 1954, but it is also home to several legendary parties you will not want to miss – an absolute island must see. Nightmares on Wax returns with Wax Da Jam for 4 much anticipated events this season, which will be held on 28th June, 19th July, 16th August and the 6th of September, featuring Andy Wilson, KAZIM KAZIM KAZIM, Buckley and Adam Regan, Negghead and Simon Dunmore. The concept of these events is not only to provide top class music and an authentic island atmosphere, but to bring likeminded people together to make a positive difference in our world. It features artists who create work live during the evening, which are then sold with the proceeds going to charities and causes such as supporting children in need. The “shape the future” theme of these parties also integrates policies such as straw free drinks…making change through the power of music is something we can all enjoy being a part of! Wednesdays see Las Dalias transformed for the Namaste party…which begins with live performances. 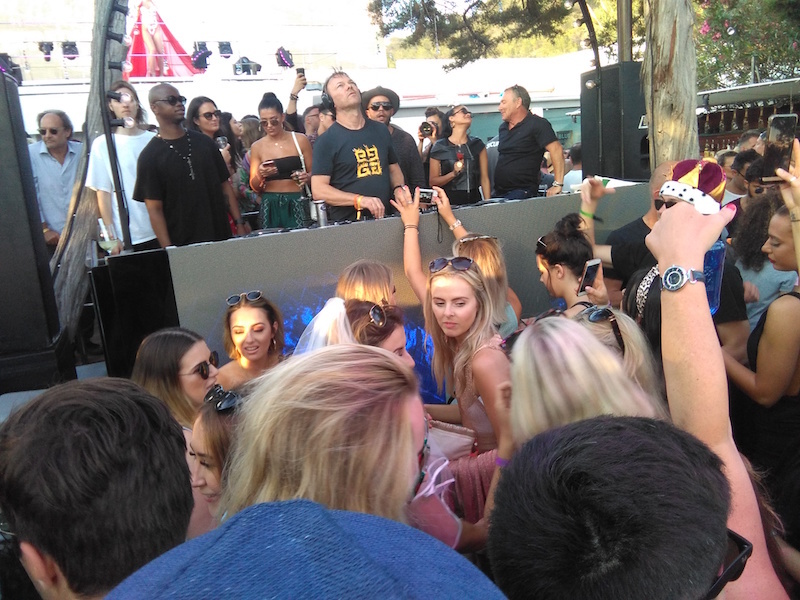 It’s the perfect opportunity to enjoy the alternative side of Ibiza and rub shoulders with the bohemian, laid back crowd who come along to perform, share, chill and of course…dance. Here it’s all about love, awareness, positive vibes and the joy of music. The scene is dressed in colourful installations, laid out with comfortable chillout areas where you can enjoy drinks and nibbles and the chance to get to know some of the islanders. It’s people-watching heaven. The evening kicks into action with a lively band around 20:00, before the crowd takes to the club onsite at midnight to continue dancing to guest DJs into the early hours. This event fills up really quickly. 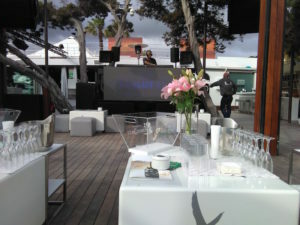 If you wish to chill or eat before dancing, get there before 20:00 to find a free lounge area. Acid Sundays are back on a monthly basis at Las Dalias, from 18:00 to 00:00, making it an ideal warm up for your night out. The event has become an essential for those who love to dress up, be different and enjoy a free-spirit vibe. Incredible installations, performance artists, live bands and guest DJs playing an eclectic mix of psychedelic Balearic beats which are laid on for your pleasure. You can also pick up some fabulous gifts for family and friends from the famous hippy market stalls before you leave. 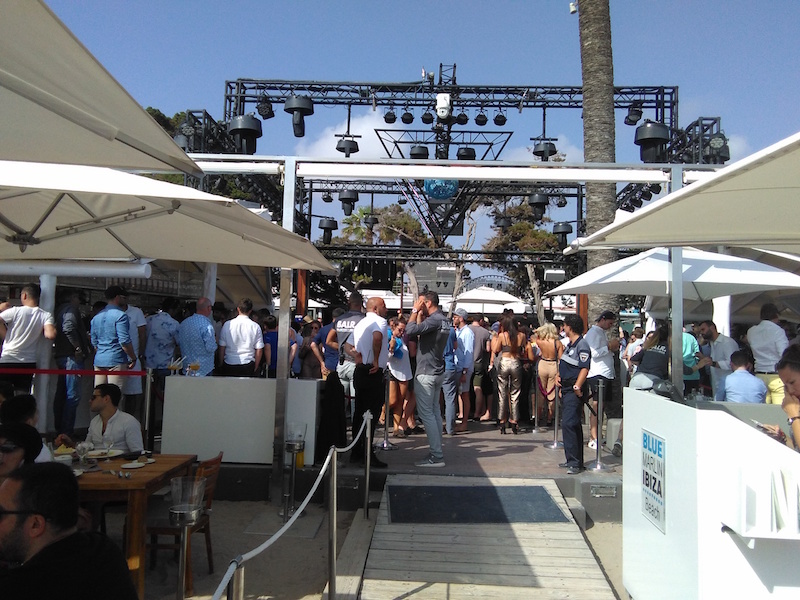 Beachside clubbing is also a huge attraction on the island and one of the most famous beach venues is the beautiful Blue Marlin at Cala Jondal. Here you can experience VIP lifestyle at its best. If you arrive on your yacht, there is a water taxi service to get you straight into the heart of the party or even bring you drinks until you are ready to hit the dancefloor! There is a large parking area with a VIP zone and parking attendants who will ensure your vehicle and keys are safe ‘til you depart. Comfy sunbeds overlook the bay, perfect for topping up your tan and you can enjoy excellent sushi, Mediterranean cuisine and flavoured shishas or a professional massage before dancing the night away to some of the world’s most prestigious DJ’s.